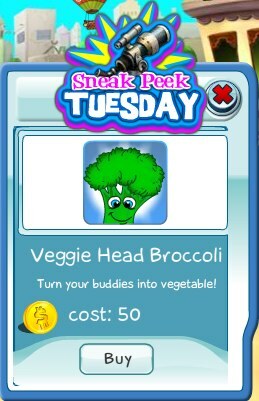 This week's Sneak Peek Tuesday item is the Veggie Head Broccoli spell. Sure it sounds really stupid, but when you cast it on your buddies its pretty darn funny. Get this item today before the limited sneak peek ends.